Coming to BenchSci: Cross-Reactivity, Clone ID, Bioinformatics, and More (Data)! Since we launched our platform officially in July 2017, BenchSci has continued to evolve. We know the difficulty of searching for the best antibodies. So we're constantly working on new features and functionality that we wish had been available to us when we were at the bench. 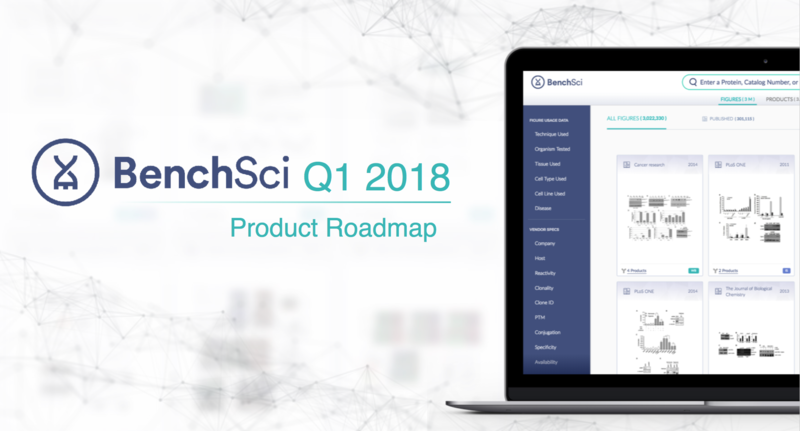 In this update, I'll outline what's in store for Q1 2018 at BenchSci to give you a sneak peek at what's coming to our reagent intelligence platform. 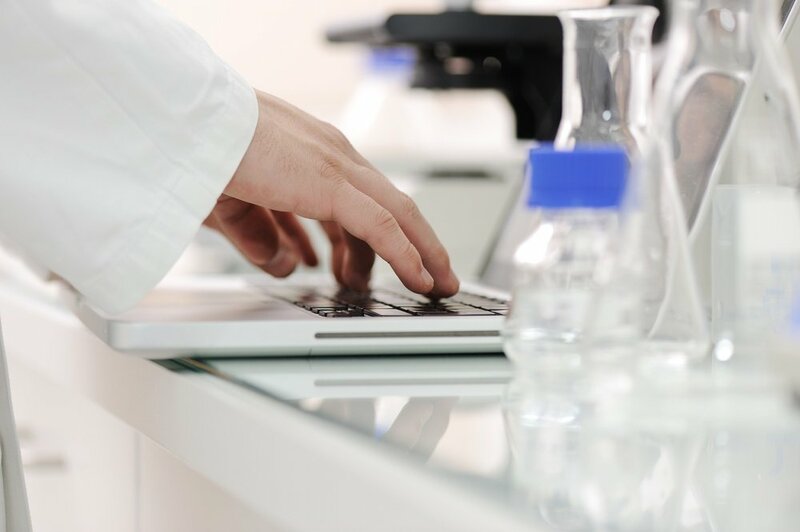 At the heart of BenchSci are published figures that contain peer-reviewed use cases of antibodies. We're adding 1.5 million antibodies and 250,000 use cases to help you find even more actionable data on BenchSci. This will bring our totals to nearly 5 million antibodies (making us the largest antibody database!) and 1.5 million use cases. Be sure to revisit BenchSci and review additional data for your proteins of interest. 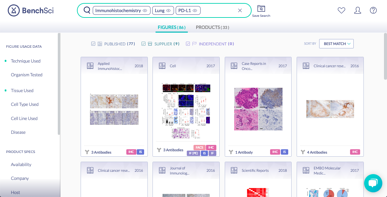 Navigating through thousands of use cases can be challenging, so we're improving our search, filter, and figure sorting functionality to help you quickly and easily find the most relevant published data. We're indexing figures that only cited clone IDs and not SKU. This will allow you to search and filter by specific clone IDs, and also means there's more data on BenchSci (30% more use cases)! We're making queries more natural. We all want to start by reviewing data published in the CNS. 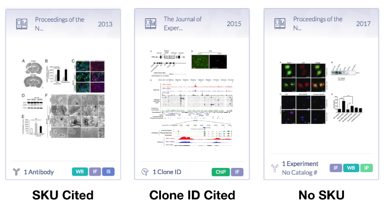 We're enabling figure sorting by journal impact factors (a much requested feature) to help you do just that. Antibody cross-reactivity can be a friend or a foe depending on your goal. To help prevent non-specific binding or to eliminate the need for custom antibodies, we're applying bioinformatics using epitope data to predict cross-reactivity for a given antibody. Last but not least, we're updating our product pages. You can see summarized publication data from across the literature, and bioinformatics data including predicted cross-reactivity and protein-protein interaction networks. We're also soon adding more data from closed-access journals including those from Springer Nature and Karger. And we'll soon be expanding reagent analysis beyond antibodies to include RNAi products. So there you have it! Which of these features are you most looking forward to? Do you have any suggestions on other features that we can add? Let us know in the comment section below. 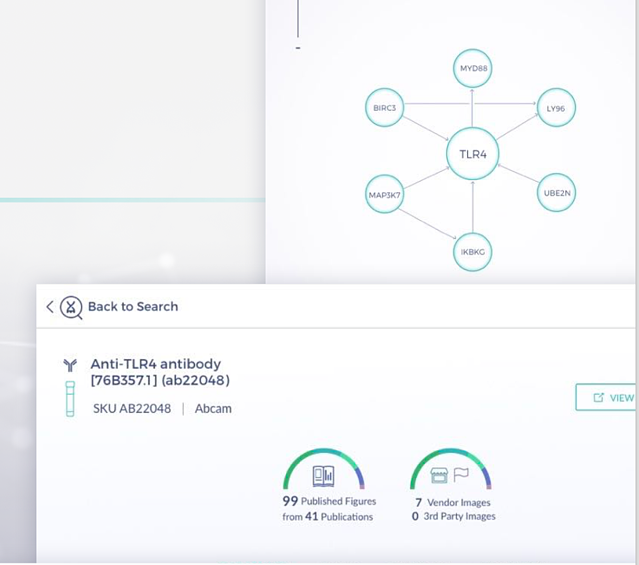 And if you haven't already, create a free account today to take advantage of BenchSci's reagent intelligence platform for your antibody search.